The design of the new LifeWorks branch highlights the role of the non-profit in transforming the lives of youth and families seeking self-sufficiency and generational advancement. Located in East Austin, a socioeconomically-disadvantaged area, the 33,467 sq ft branch will provide a hub for educational and financial literacy in the Central Texas region. 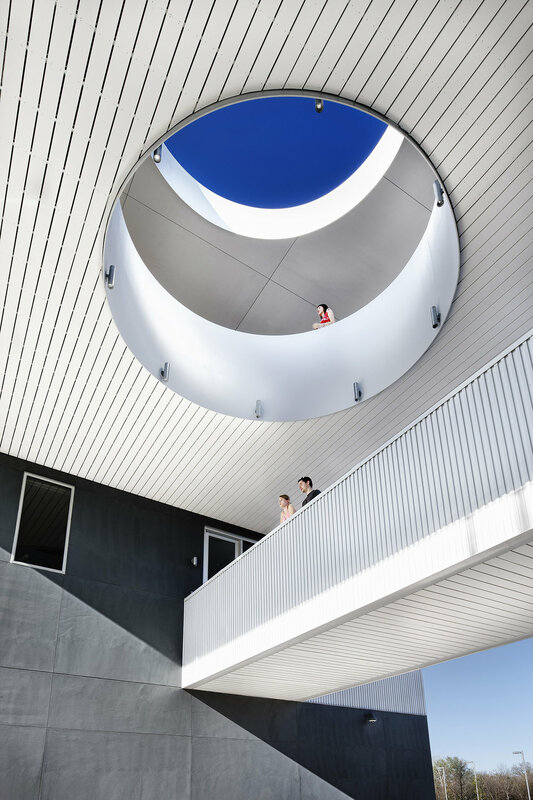 The building establishes a strong, urban edge that follows the curvature of the adjacent road. A colonnade acts as a communal “front porch,” inviting visitors in and providing shade, refuge, identity and light. 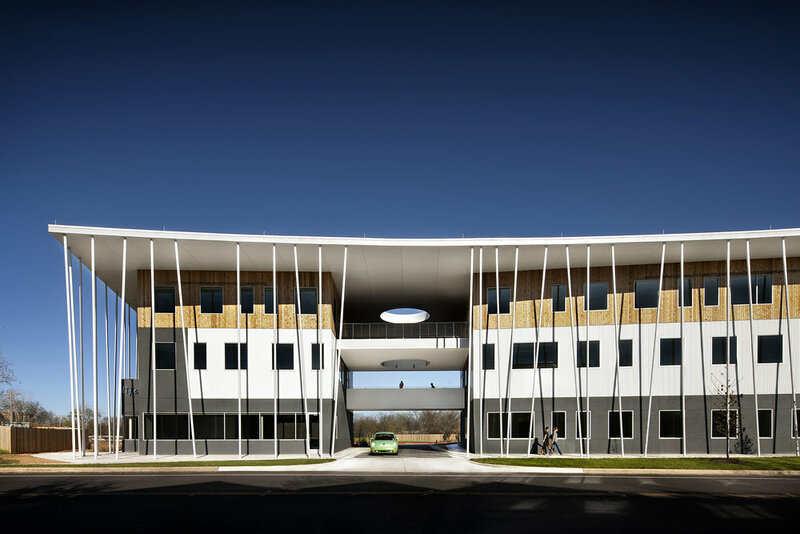 Deep overhangs capture prevailing winds and provide shade to a rhythmic arrangement of windows, while outdoor spaces offer flexible meeting areas. The interior utilizes colors to create an effective visual wayfinding strategy. 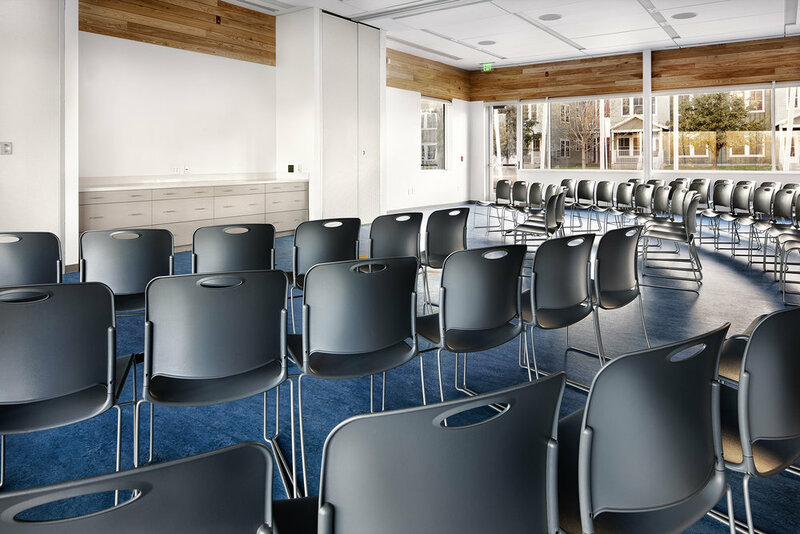 A tranquil, uplifting palette minimizes the institutional nature of the facility and amplifies the spirit of healing, inspiration and confidence that permeates the organization. 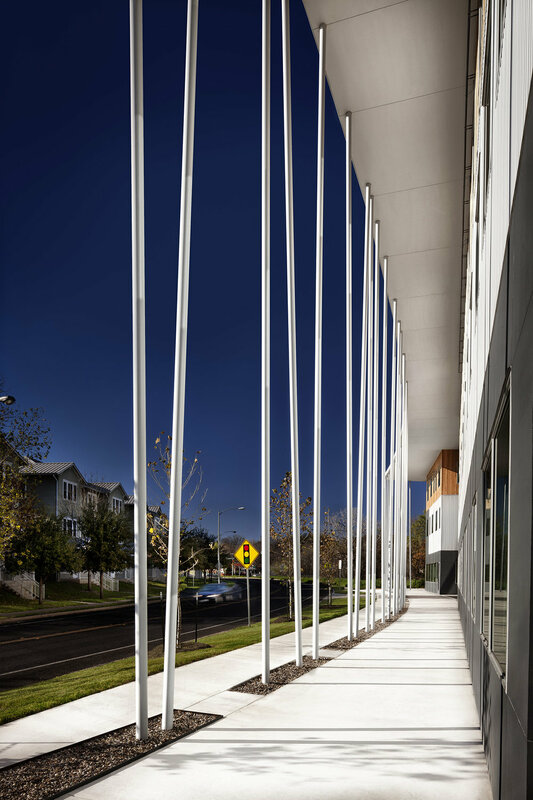 LifeWorks was the fourth commercial project to receive a 5-star rating from the Austin Energy Green Building program. Since the commercial rating program’s inception in 1995, only 2.7% of projects have achieved 5 stars.Despite a tight budget, sustainability was conceived of as a central part of the design. During construction, 82.9% of waste was recycled or salvaged, and 52.5% of the building materials were sourced in-state. When compared to a baseline case study, LifeWorks uses 79.6% less energy, 80% less potable water for irrigation, and 28.3% less indoor potable water. Over 90% of the occupied spaces have exterior views and natural light. 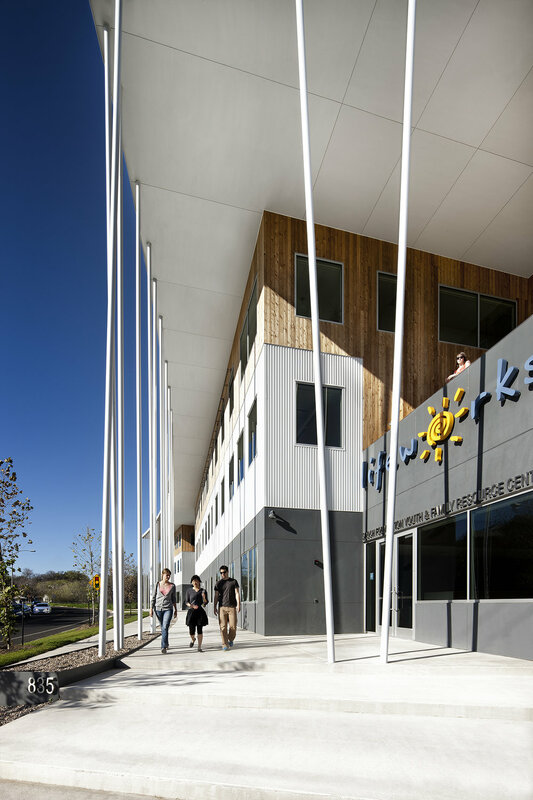 The building is sited near several bus routes and a light rail line, while bike racks, showers, lockers and electric car charging stations promote alternative means of transportation.